10:30 AM - "Road to Rhode Island"
"This was the first Stewie/Brian road show we ever did, and it's the first episode that firmly established their unique relationship. It was our fresh take on that classic old trope of a dog and a baby hitting the road together." 11:00 AM - "Brian Wallows and Peter's Swallows"
"This episode won us an Emmy for its musical number. Before that, none of us had never seen an Emmy before." 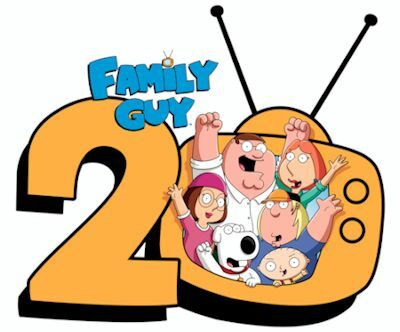 11:30 AM - "North by North Quahog"
"Our first episode back from cancellation. It was a comedic riff on a Hitchcock classic, complete with a Bernard Herrmann score. This is the type of whip-smart, nuanced writing I was capable of 10,000 drinks ago." "This is a brilliant episode and just so Twitter knows, I was out with the flu the day they came up with the title." "This episode was the culmination of our completely wholesome, non-sexual relationship with the FCC." 1:00 PM - "Brian Sings and Swings"
"This episode featured our dear friend, the wonderful Frank Sinatra Jr. It's also when I realized that if you have songs in an episode, you have to write way less." 1:30 PM - "Patriot Games"
2:00 PM - "The Griffin Family History"
"A fun premise and a great-looking episode. This was our first real foray into a non-traditional format." 2:30 PM - "Road to Rupert"
"Stewie dances with Gene Kelly. Enough said." 3:00 PM - "Blue Harvest Pt. 1" & "Blue Harvest Pt. 2"
"This episode is what finally put Star Wars on the map." 4:00 PM - "I Dream of Jesus"
"The bird is still the word." 4:30 PM - "Road to Germany"
"This was our homage to Herman Wouk's 'The Winds Of War.' And sadly, if you’re an American male under age 35, studies show this episode is all you know about World War II." 5:00 PM - "Road to Multiverse"
"Back before Walt Disney's Family Guy was a real thing, it was a fake thing." 5:30 PM - "Extra Large Medium"
"Psychics are frauds. You’re welcome." 6:00 PM - "Brian Griffin’s House of Payne"
"An amazing opening sequence with great visual effects scored by a 75-piece orchestra. Fun trivia: Family Guy employs more full-time tuba players than the rest of Hollywood combined." 6:30 PM - "Brian and Stewie"
"We wanted to see if our characters were interesting enough to sustain a full episode in one room, without gags or cutaways. In Hollywood, this is called a "bottle episode,” because it only utilizes one set, and also because the writers were drunk." 7:00 PM - "And Then There Were Fewer Pt. 1" & "And Then There Were Fewer Pt. 2"
"I think this is my favorite episode of the series. A classic format, great-looking direction, and, I hope, a genuinely surprising ending. It was also the first episode to air in HD. It was really cool to finally see Lois’s pores." 8:00 PM - "Road to the North Pole Pt. 1" & "Road to the North Pole Pt. 2"
"My dad’s in this one." 9:00 PM - "The Big Bang Theory"
"This was based on a story I wrote in college. The A.V. Club gave this episode a B, which is their highest rating I think." 9:30 PM - "Back to the Pilot"
"It was fun to re-visit an era before I hired people who could draw better than me." 10:00 PM - "Fantasy Baseball"
Apple announced Apple TV+, the new home for the world's most creative storytellers featuring exclusive original shows, movies and documentaries, coming this fall. 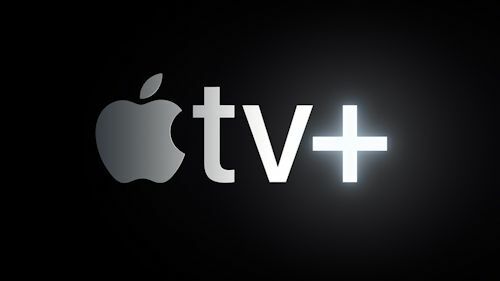 Apple TV+, Apple's original video subscription service, will feature a brand new slate of programming from the world's most celebrated creative artists, including Oprah Winfrey, Steven Spielberg, Jennifer Aniston, Reese Witherspoon, Octavia Spencer, J.J. Abrams, Jason Momoa, M. Night Shyamalan, Jon M. Chu and more. On the Apple TV app, subscribers will enjoy inspiring and authentic stories with emotional depth and compelling characters from all walks of life, ad-free and on demand.